Notes: Lovely collection of Queen Mother stamps with special first day cover - although this looks like the Cotswold for the issue, this is different and I have never seen this cover before. 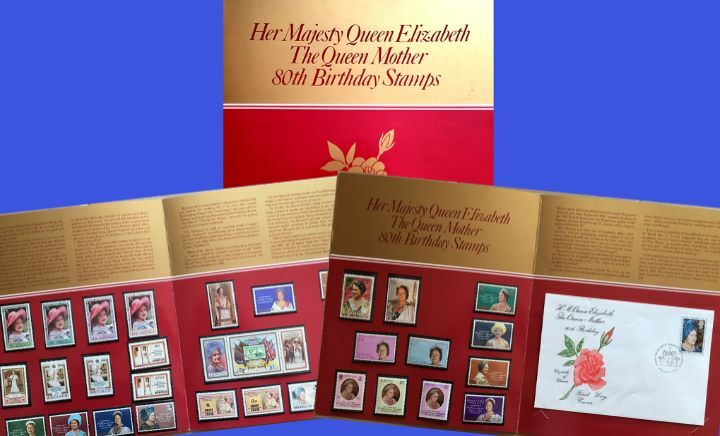 The above Royal Mail Queen Mother 80th Birthday stamps were issued on 04 August 1980 by Royal Mail and feature the following stamp designs: 12p The Queen Mother. The Commonwealth Collection of special stamps first day cover with the Glamis, Elizabeth of Glamis rose, Special Handstamp postmark and features these stamps which can make a very collectible and lovely gift.